Is it really the last day of February already? 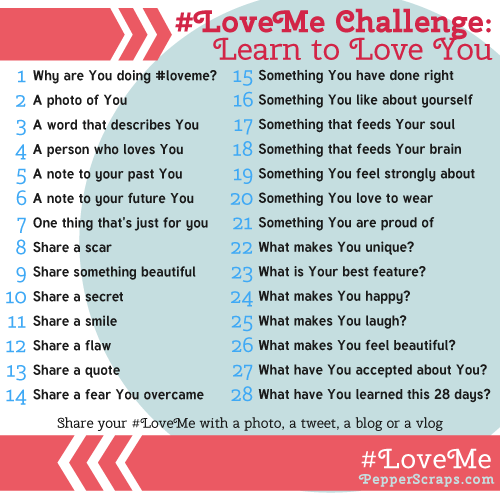 Day 28 in the #LoveMe Challenge is to share what I've learned this month by participating in the Love Me Challenge! When I first saw the challenge, I thought it would be fun, but I wasn't sure if I was up for the challenge. Would I be able to complete the daily prompts every day, all month long? I DID! I completed every single daily #LoveMe Challenge this month! I had so much fun participating in the daily prompts all month long! What was the #LoveMe Challenge? As a busy mom, finding the time to take care of me often falls to the wayside. Having smooth, soft skin is a top priority, but with very little time, finding the right products to meet my needs is very important. That's where Dial body wash comes in. 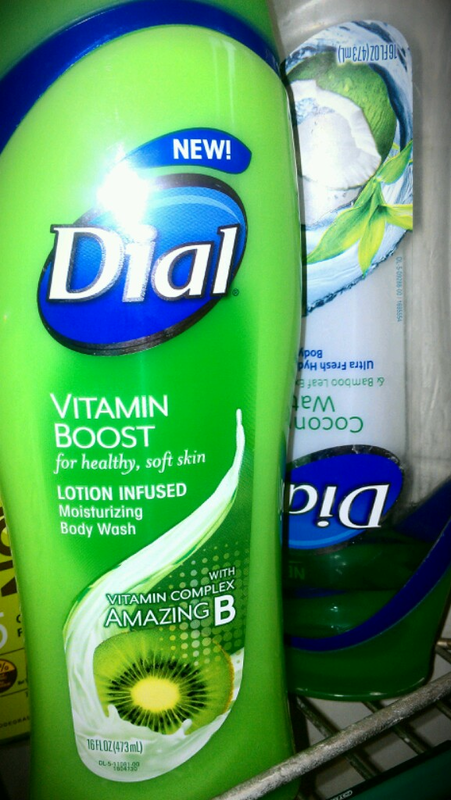 Dial Vitamin Boost Body Wash leaves my skin, silky soft, clean and moisturized all in one quick, easy, convenient step. There is no need for multiple skin care products because Dial does it all! I love the way it smells. I also love how soft, smooth and moisturized it leaves my skin. It is the perfect body wash for every inch of your body, from head to toe. Not only is Dial Vitamin Boost Body Wash a convenient way to wash without using bar soap, it is also perfect for shaving your legs. It lathers nicely, rinses away easily and leaves your skin silky smooth! After just a week of using it, I could see and feel the difference in my skin! This body wash is simply amazing. The Dial Vitamin Boost lotion infused body wash is moisturizing and leaves me with silky soft skin from head to toe! Learning to accept yourself for who you are can prove difficult for some people. I will admit that I am (and always have been) one of those people. Day 27 in the #LoveMe Challenge is to share what I've accepted about myself! Many people in this world are not happy with their appearance, shape, body, look, style, etc... to be honest, it's just another fact of life. 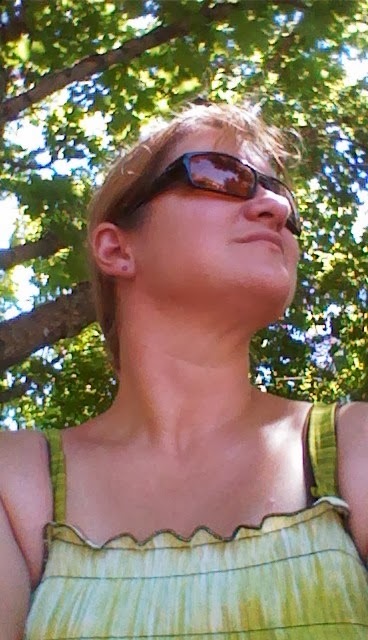 Over the years I have accepted the fact that there is no "perfection" and I am "perfect" for ME! All of my little quirks, imperfections, mistakes, weaknesses, and strengths are what make ME the person I am! However, when I met my husband, he made me feel beautiful from our very first date. The way he looks at me, his wink from across the room, the way he treats me... he makes me feel beautiful! This March my amazing husband and I will celebrate our 15th wedding anniversary and our 17th year as a couple. He makes me feel beautiful every single day, every moment! If you've been following my daily #LoveMe Challenge posts, then you know that my life revolves around my family - especially my children! So, it will comes as no shock to you when you see my initial answer to today's prompt. Happy, Happy, Happy! Day 24 in the #LoveMe Challenge is to share what makes me happy! This may be one of the easiest prompts during the entire Love Me Challenge. There are so many things that make me happy. 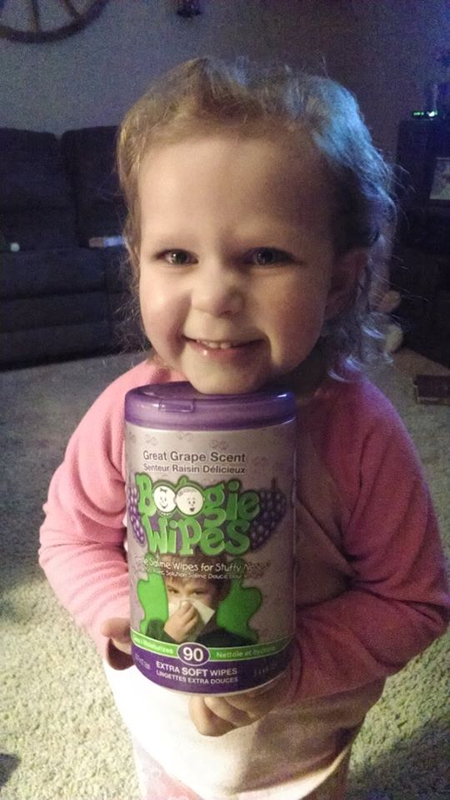 Boogie On With Boogie Wipes - #BoogieWoogieBabes Giveaway! We all know that boogies, runny and stuffy noses aren't much fun, but no matter how hard we try to keep our kids healthy, they are bound to catch a cold and get a runny nose (or two). Even as adults, we know how sore noses can get from constant wiping. Boogie Wipes are available in Great Grape, Fresh Scent, Magic Menthol and Simply Unscented. Our favorite is hands down, Great Grape! My daughter says... "I could sniff these all day long, it smells soooooooo good!" Day 23 in the #LoveMe Challenge is to share my best feature! If you were to ask my husband this question, he would give you a different answer than mine! But, I think we all know how that is - am I right?! Other than being a helpful and caring friend, I think that my best feature is my hair. My hair is long, wavy and has natural highlights. I always have people asking my if I curl or highlight my hair, but it's all natural... all me! 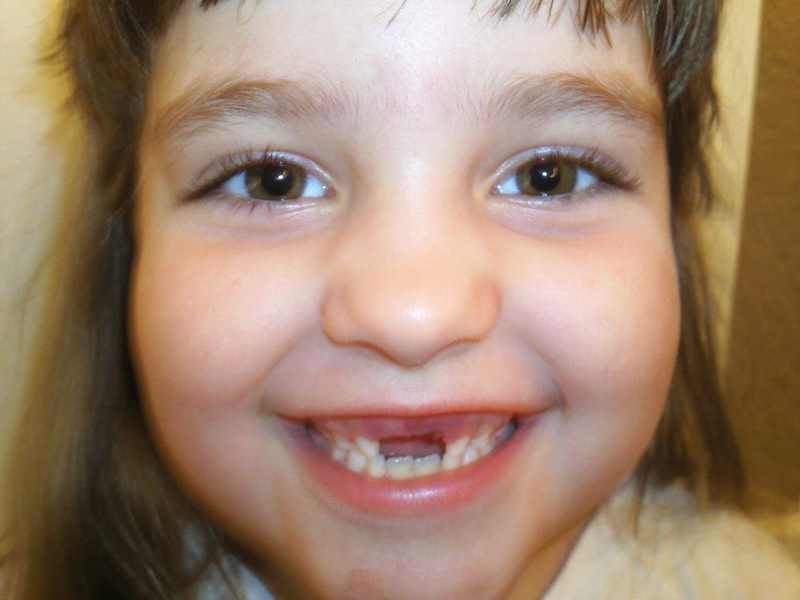 I always tell my kids that everyone is different, special, and unique in their own way! How boring would it be if everyone was exactly the same? Day 22 in the #LoveMe Challenge is to share what makes me unique! What makes us unique is that there is only one of each of us - there is only on you and there is only one ME! Always remember that you are absolutely unique. Just like everyone else. TGIF! Day 21 in the #LoveMe Challenge is to share something that I'm proud of! When I think of the things that I'm proud of, the first thing that I think of are my children. Without a doubt... I am super proud of both of them! 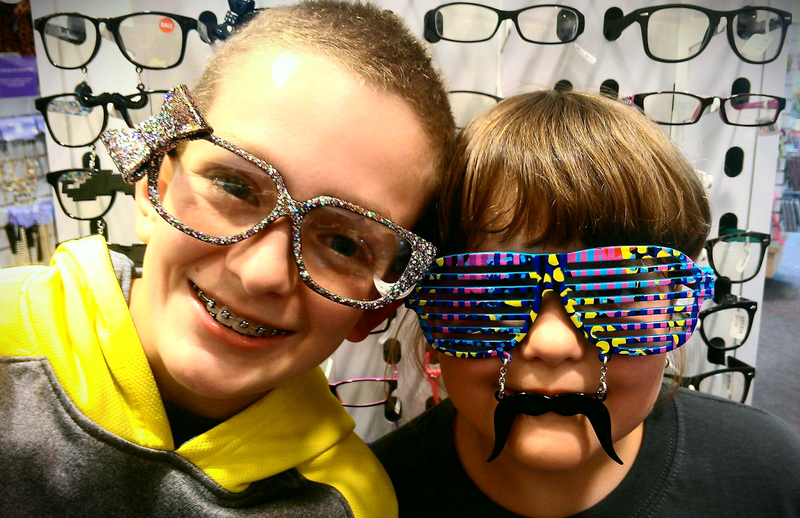 I am proud of the young people (ages 10 and 13) that they have become. They are both smart, respectful, and helpful. 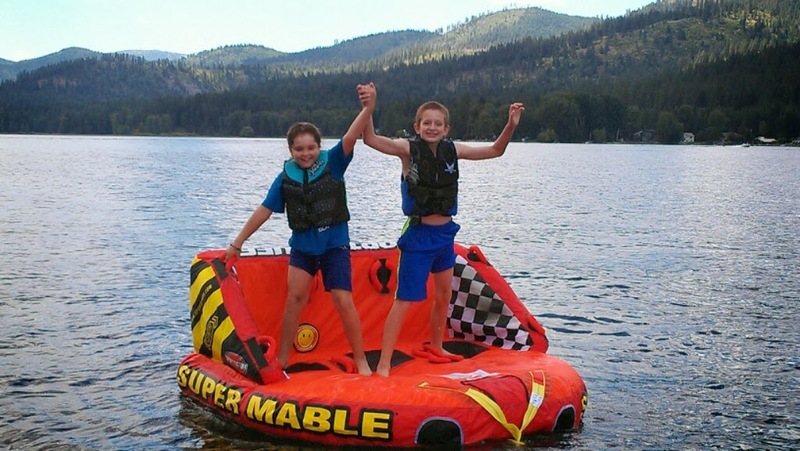 They get great grades (straight A's) and perfect attendance. They take pride in what they do and they do it well. They are great friends to their classmates, respectful and helpful to others - including adults, and they make me smile EVERY single day! Day 20 in the #LoveMe Challenge is to share something that I love to wear. No matter what I'm doing - working, cleaning, or shopping - I want to be comfortable. Since I started working at school this year, I have had to spruce up my wardrobe just a little bit during the week, but I'm still comfortable. Comfort is KEY! We all have things that we feel strongly about, whether it be personal, religious, educational, or something entirely off topic. Day 19 in the #LoveMe Challenge is to share something that I feel strongly about. 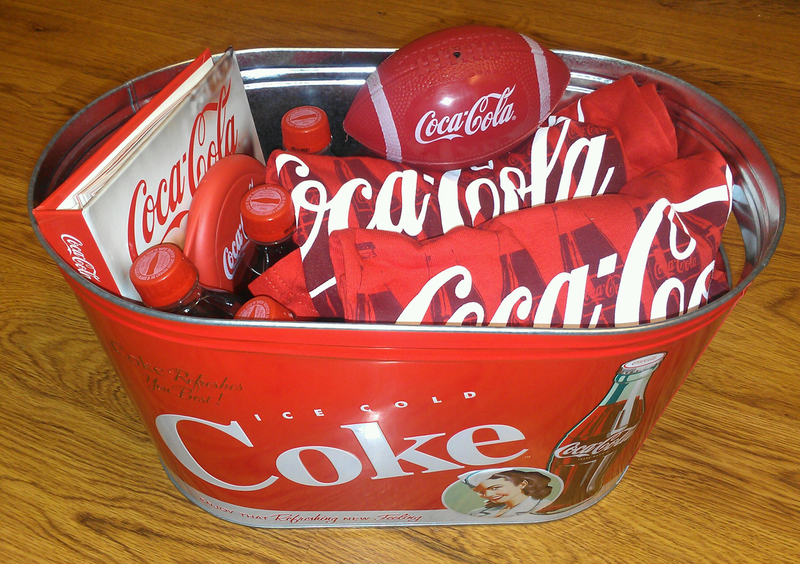 My Latest Giveaway Win: Coca-Cola Big Game Party Kit! During the Super Bowl game earlier this month, I spent most of the day entering blog giveaways. I hadn't received any emails telling me that I had won, so I wasn't expecting anything in the mail. Then, UPS stopped by with a surprise package and inside was a Coca-Cola Big Game Party Kit! I remembered entering to win it, but I couldn't remember which blog I had entered on. I also remembered that the mandatory entry was to leave a mailing address - which explains the no email notification! Be sure to check out the current Being Frugal and Making it Work giveaways and enter for your chance to win! Are you looking to buy a new car? When I passed driver's ed and my written test, my parents bought me a used car to drive back and forth to school. It wasn't the prettiest car and it wasn't brand new, but at the time it was the perfect "new" car for me! I didn't get my first brand new car until I was in my early 20's. I had recently moved and gotten engaged, and my old car was on its last journey. Making the decision to buy a new car was both exciting and a little scary. I loved the idea of driving a brand new car, but the added expense of a car payment had me a little worried. I assumed that car loan interest rates would be out of my comfort zone and my budget. Day 17 in the #LoveMe Challenge is to share something that feeds my soul. My parents, husband, and two beautiful children have given me the tools to succeed, and the desire to do my very best. Without them, I wouldn't be who I am today. We all have certain things we like about ourselves and other things that we dislike. Whether it be our hair, weight, height... the examples and possibilities are endless. Day 16 in the #LoveMe Challenge is to share something that I like about myself. One thing that I have always like about myself is my hair. I've always had long, wavy hair with natural highlights. Although lately some of those natural highlights have turned a color that I'm not too fond of (gray), I still love my hair! If my daughter had her way, she would love going to Build-A-Bear Workshop every week to choose, stuff, dress, and make a new stuffed, furry friend for her collection. Her room has stuffed animals piled high in every possible location - corners, toy chest, on top of her dresser and or course, her bed! There are some night when I don't see how she can fit in her bed to sleep with all of her furry friends. I must say that Build-A-Bear isn't only for bears. They have dogs, cats, elephants, bunnies, lions, tigers, and bears (and more)... OH MY! No matter which furry friend you choose, it will make someone feel BEARy special! 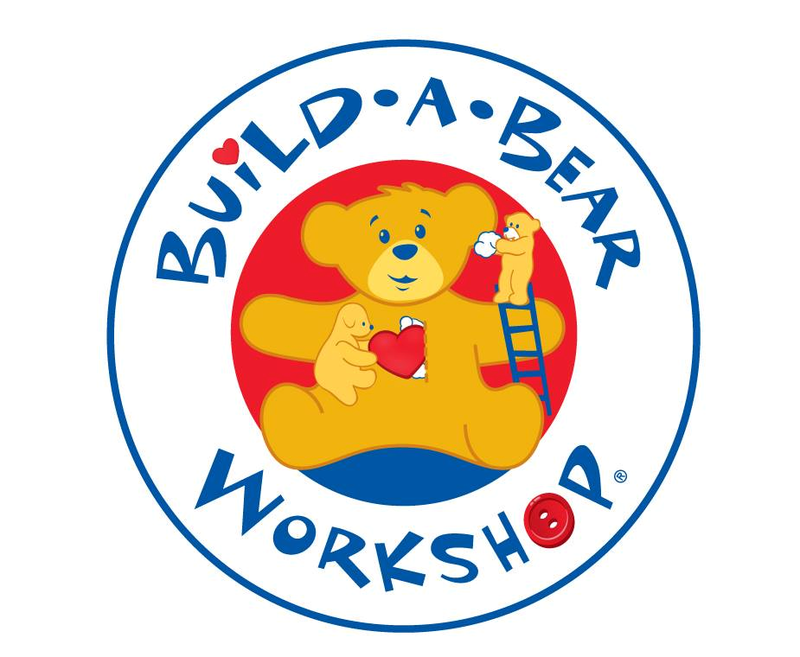 For Valentine's Day this year, Build-A-Bear Workshop gave me the opportunity to do something different for my kids - not the usual little box of heart chocolates and a Valentine's Day shirt. I was able to give them each something that would bring fun, memories, and with proper love and care, would last a lifetime! A new furry friend from Build-A-Bear! 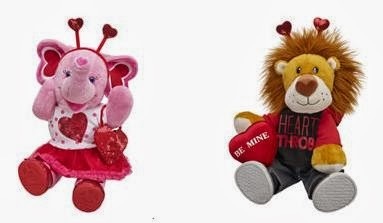 I chose the Tons of Love Elephant ($20) who is ready for Valentine’s Day in her Sequin Heart Dot Tee & Tutu Outfit ($12.50, 2 piece), Red Sparkle Bow Flats ($7.50), Sequin Heart Purse ($5) and Red Sequin Heart Antenna ($3.50) and the Huge Hearted Lion ($20) who is breaking hearts in his Heartthrob Hoodie ($7.50), Classic Jeans ($5), Black Canvas High-Tops ($7.50), Be Mine Pillow ($4.50) and Red Sequin Heart Antenna ($3.50). 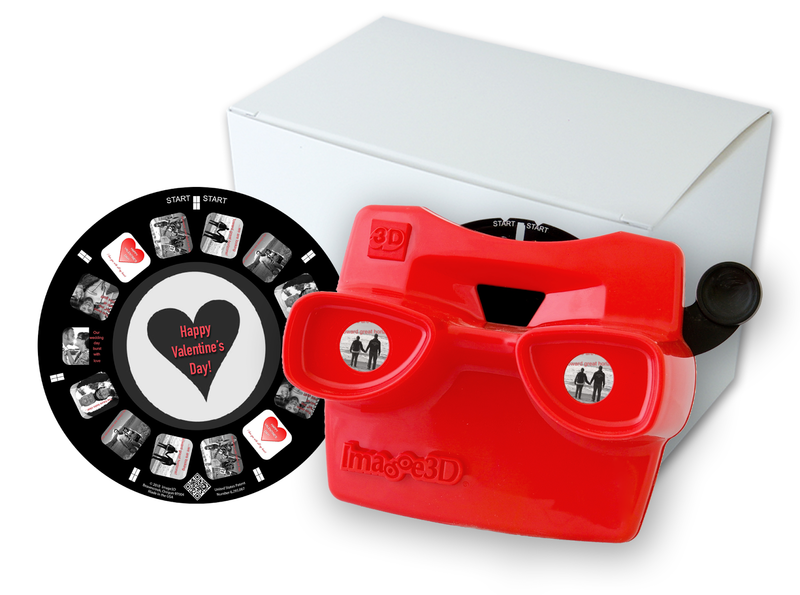 Similar to the View-Master’s you remember as a kid, now you can make your own with YOUR pictures. You get to choose 7 of your favorite photos, edit your pictures, and add personalized 3D captions. Disclosure: I got this product as part of an advertorial. Did you have a View Master when you were growing up? If you did, then you will remember how cool it was to put a new real inside and be taken to another beautiful place somewhere in the world. Now, imagine having one with photos that YOU have taken personally! I was recently given the opportunity to create and customize an Image 3D reel of my very own, and I have to say that it is one of the coolest things I've seen in quite sometime. With Image 3D it’s easy and fun to create and customize your very own personal view-master style reels and viewers using your own photos! 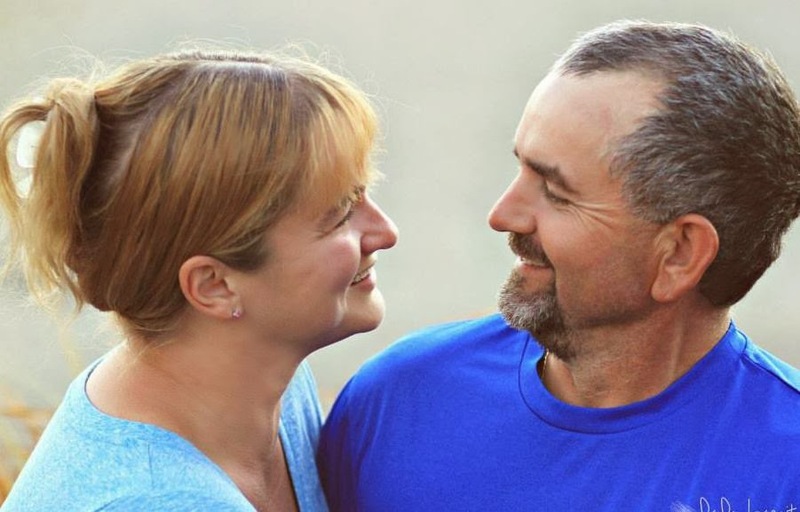 Overcoming a fear or facing one head on can be a challenge no matter how old you are. There are some fears that simply can't be approached, while others are simply works in progress. I've always loved the smell of clean, fresh laundry - especially towels and sheets! Use Purex Crystals Mountain Breeze at the start of the wash directly with your laundry detergent and take the freshness of your laundry to a whole new level! As a Purex Insider, I am given the inside scoop on new products and promotions! In addition, I'm able to test and review products before they even become available in stores! 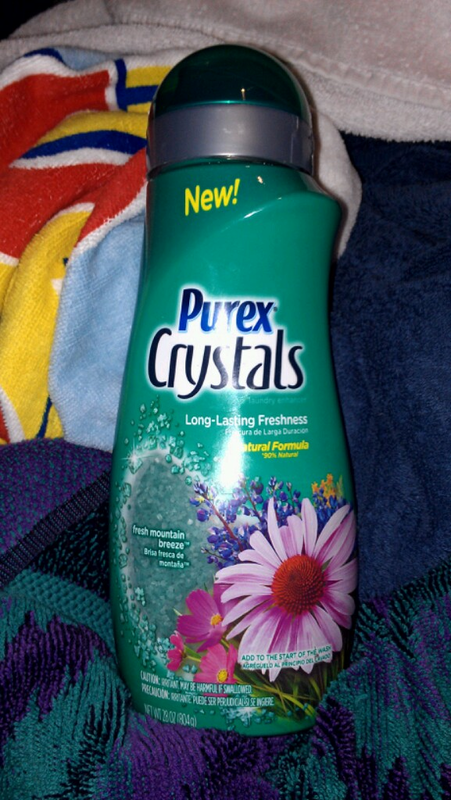 The first thing I noticed about Purex Crystals Mountain Breeze, almost immediately, was the scent. It smelled heavenly, even my hubby liked the smell. I was super excited to throw a load of laundry into the washer and try these out for the very first time. It has been 3 days since I washed our towels clothes and they still smell great! 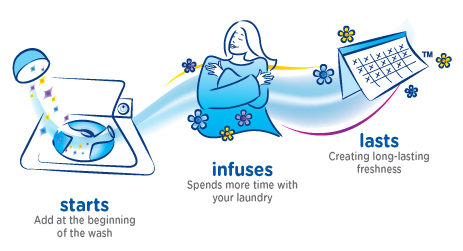 By using Purex Crystals Fresh Mountain Breeze in your laundry, you will infuse your laundry with long-lasting freshness. I believer that every child's wishes should come true! Did you know that the Purex brand is teaming up with Make-A-Wish to bring bright wishes to children with life-threatening medical conditions? To honor the millions of children whose clothes Purex helps keep bright and clean every year, the Purex brand is teaming up with Make-A-Wish to bring bright wishes to children with life-threatening medical conditions. Quotes, personal messages and words to love by - we all have our personal favorites. Day 13 in the #LoveMe Challenge is to share a quote. I'm a firm believer in the little things... the little things are the ones that matter most. Beauty can mean something different to everyone. Beautiful scenery, beautiful people, beautiful memories... the list is endless. Today is day 9 of the #LoveMe Challenge, and today's prompt is to share something beautiul. 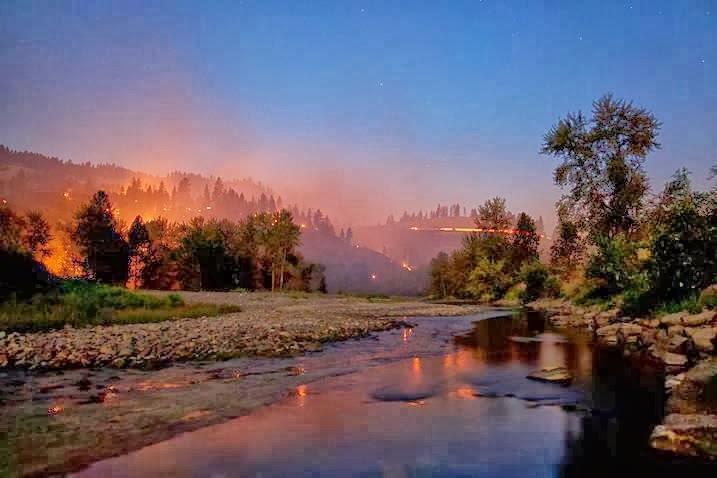 For this challenge, I've decided to share a beautiful picture of the river where I grew up. 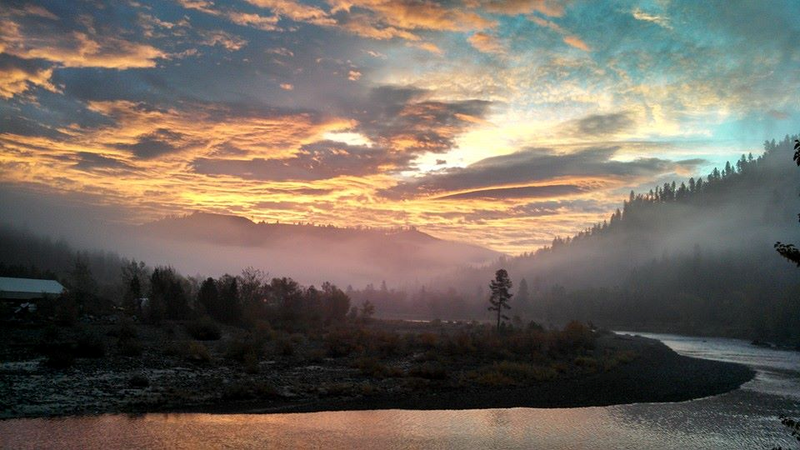 This picture captures all the beauty of a peaceful river bend, the trees and a beautiful sunset! Not only is this a beautiful picture, it also holds and brings back a lot of great memories! The first scar is on my knee from swinging a bag of garbage around that had a piece of broken glass in it. The second one is on the top of my foot from dropping something on my bare foot. Finally, the third scar is the scar that I'm most proud of - it's the scar I have from delivering both of my beautiful babies via c-section! Good morning! Today is day 3 of the #LoveMe Challenge, and I'm suppose to use a word to describe myself. When I think of different words to describe me, there are several that come to mind - I just don't know which one to share. I'm going to share the one word that all of my family and friends would tell you is true, and also one that relates to my blog - Frugal! I'm always on the lookout for great deals and ways to save money for my family! Frugal, Budget Friendly Valentine's Day Ideas for Couples! Love, affection, and appreciation cant be purchased. They don't come in a box or the form of a bouquet and they aren't on the menu at an expensive restaurant... because they are priceless! Yet these are the gifts that most women crave on Valentine's Day. More than anything, a woman wants to feel loved and that she is someone unlike anyone else in your life. 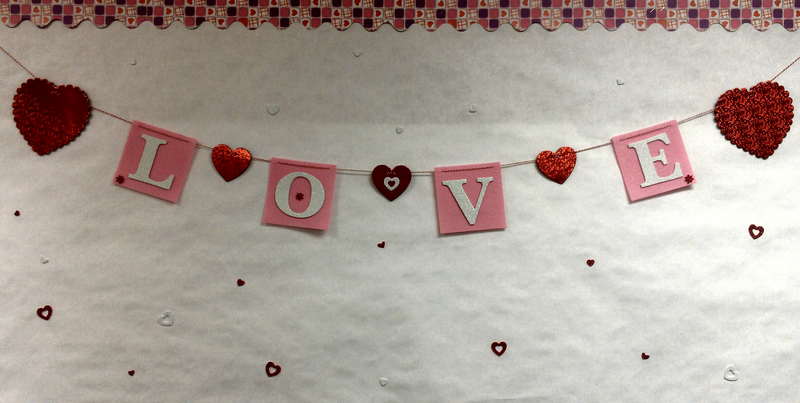 Money is no impediment, because very little of it needs to be involved in designing a Valentine's Day that is just right. 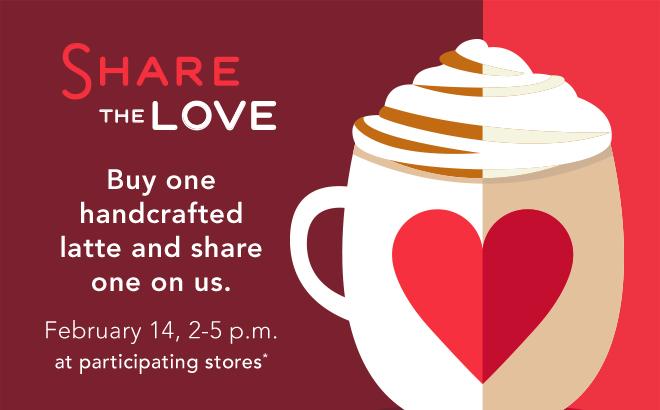 This is great news if you are short on cash and want to make love, not debt on Valentine's Day. However, whether expensive or nearly cost-free, a good Valentine's Day gift requires thoughtful planning. The last thing a woman wants is to be the recipient of a rushed, last-minute gift. That tells her she is almost the last thing on your mind. 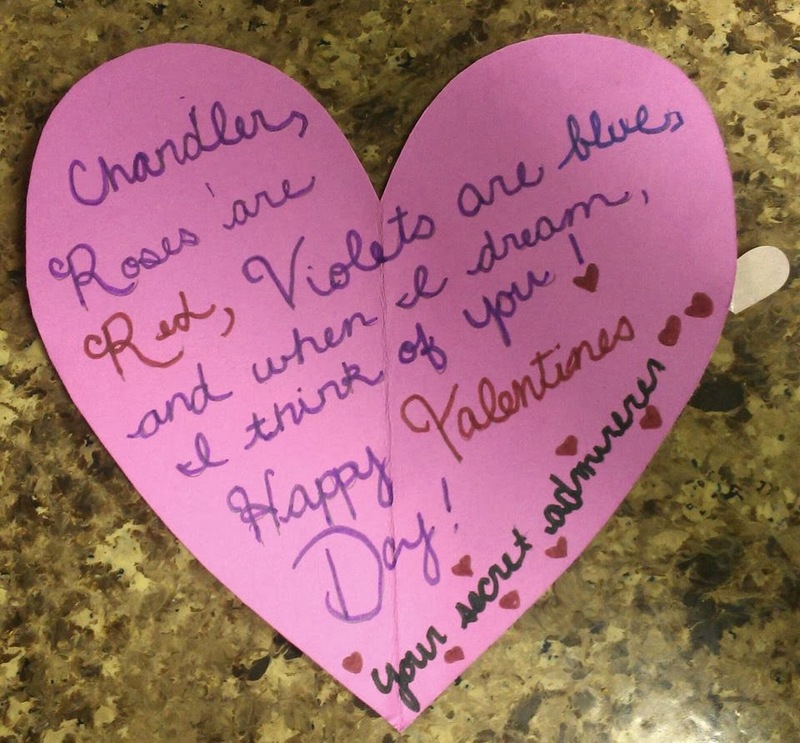 Here are some frugal, budget-friendly suggestions for telling your sweetheart she is special. 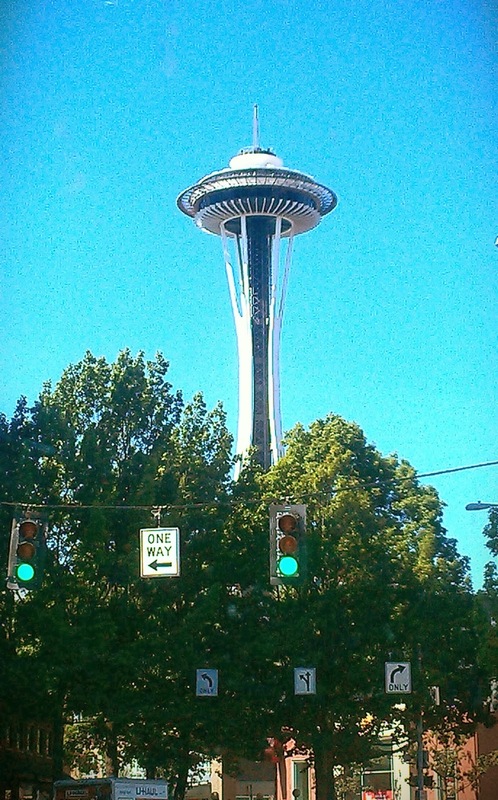 Super Bowl 2014: Seattle Seahwaks vs Denver Broncos! As I was visiting a few of my favorite blogs this morning, I came across the #LoveMe Challenge on Blog By Donna and decided to participate! I have never been good at opening up and expressing my feelings. One of my goals this year is to break out of the box, try new things, and open up a little more. I think this challenge will be the perfect way to start that personal journey. How do I participate in #LoveMe?